Kubrick Remembered, directed by Gary Khammar, is a major new feature-length documentary about the life and work of Stanley Kubrick. Like the more comprehensive Stanley Kubrick: A Life In Pictures (2001), it was made with co-operation from the Kubrick estate, and it includes interviews with members of Kubrick's family and the personal assistants who worked for him. It also features material from the Kubrick Archive. TV documentaries about Kubrick include Stanley Kubrick: The Invisible Man (Channel 4, 20th June 1996), A La Recherche De Stanley Kubrick (Canal+, 1st September 1999), The Last Movie: Stanley Kubrick & Eyes Wide Shut (Channel 4, 5th September 1999), Remembering Stanley Kubrick (Channel 4, 12th September 1999), Stanley & Us (thirty-eight episodes; Rai Sat, 1999), and Stanley Kubrick's Boxes (More4, 15th July 2008). There have been three Kubrick radio documentaries: Looking For Stanley (Radio 3, 10th January 1999), In The Director's Chair (Radio 4, 14th October 1999), and A Voix Nue (five episodes; France Culture, 21st-25th March 2011). 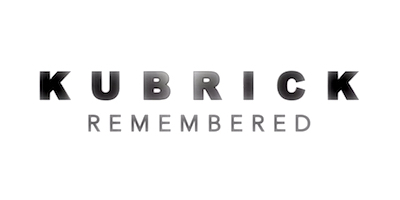 Kubrick Remembered was given a brief cinema release this month, though it's most widely available as part of Stanley Kubrick: The Masterpiece Collection, a new Warner blu-ray box set. The Masterpiece Collection also comes with a book featuring documents and photographs from the Kubrick Archive. 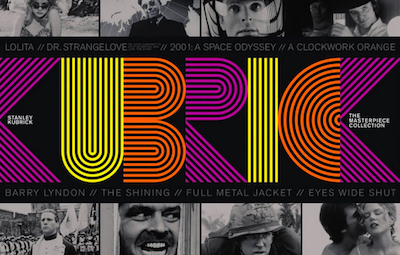 Warner's first Kubrick DVD/VHS box set, The Stanley Kubrick Collection, was released in 1999 and remastered in 2001. Another DVD/VHS collection, Directors Series: Stanley Kubrick, was released in 2007. A blu-ray box set, titled Stanley Kubrick: Limited Edition Collection in the USA and Stanley Kubrick: Visionary Filmmaker Collection in the UK, was released in 2011.